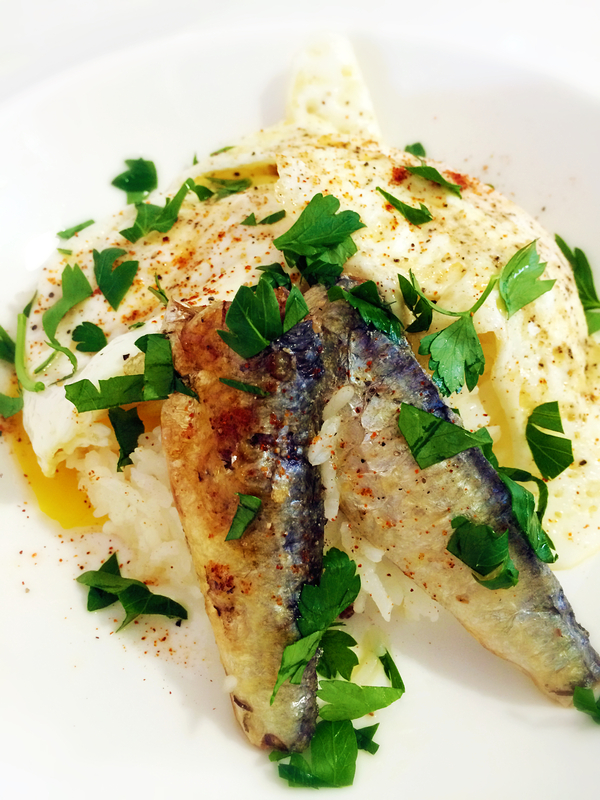 Sardines in Spicy olive oil, eggs over rice. Do you ever notice when you’ve been traveling for work or been on vacation for awhile, it’s hard to get back in the swing of things like cooking? Then when you’re finally home you don’t feel like cooking. That was me this week. Before leaving for any trip, I desperately try to finish everything up in the fridge that will spoil while I’m away. So when I get home I have a clean fridge. The bad thing is, when I get home, I don’t feel like grocery shopping. I recently noticed my recovery time from traveling is longer compared to several years ago. I also didn’t have two furry babies, Mr. Mojo and Sir Harrington, to return home to. I will say this, “I am definitely nesting! I love coming home to them.” At this point in my life, I love it! You wouldn’t here me saying that 10-15 years ago. I can’t imagine my life without them either. The best part about coming home is seeing my furry babies excited about my return home. I never quite understood this feeling until I had my own furry family members. Anyway, let’s get back to this meal I whipped up, the thought of grocery shopping is dreadful after being away. At least that’s how feel when I get return home from a trip. I found some staples while searching thru my cupboards. I came up with an Island Style Sardine Bowl. 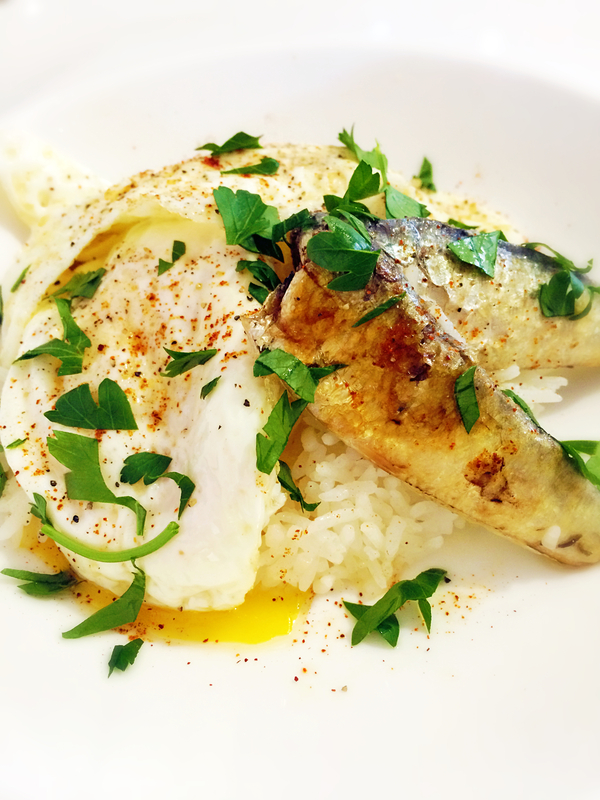 I consists of Sardines in Spicy Olive Oil, Jasmine Rice (a Filipino staple), and Eggs. So why not create a Sardine bowl. It’s was simple and easy, and packed with lots of protein and Omegas. This was the first time I tried it and is now a new favorite dish when I’m in a pinch and don’t feel like shopping. Place cooked rice in a bowl. Fry eggs over easy, season if you desire. Place eggs on top of rice. Place two sardines on rice next to eggs. Drizzle a little of the olive oil. Finish with freshly chopped Italian parsley. I hope you enjoy my Island Style Sardine Bowl as much as I did.